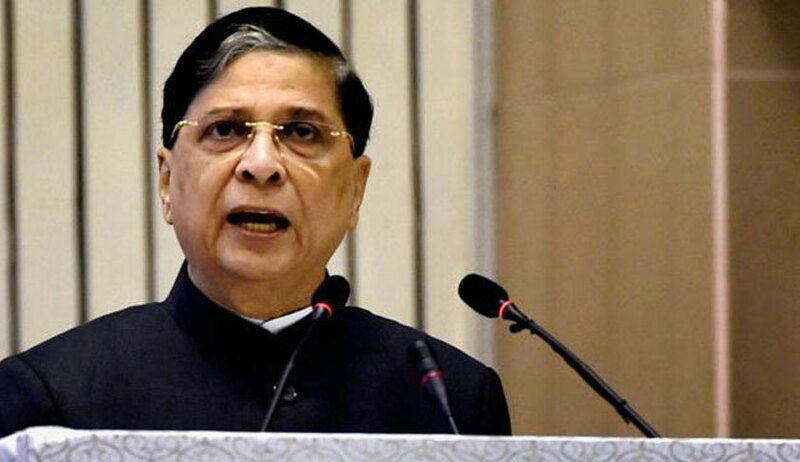 In his first meeting with Supreme Court correspondents after he took over the office as the CJI in August this year, Chief Justice of India (CJI) Dipak Misra on Monday evening assured them that he would look into the difficulties being faced by them in day-to-day affairs. The foremost issue raised by journalists before the CJI was that orders, when dictated in the open court, are inaudible and judges should use mics, which would enable them to give correct reporting of the court proceedings. The CJI assured the over 50 journalists present there to look into the issue seriously so far as his court (no 1) is concerned. However, he said he cannot commit about other courts as the decision has to be unanimous. “I alone cannot say on behalf of other judges but I will make sure that we all can hear it properly..,” Justice Misra said. Even the journalists requested the CJI to allow them to carry their phones inside the courts. “The lawyers, clerks, law interns have been using their phones from inside the court. They are live tweeting the proceedings of the courts. We were supposed to flash news, which is our job but others are doing that. The Supreme Court should do something for us,” a woman journalist said. The Secretary-General of Supreme Court, who was asked to take note of the issues, has also supported the cause of journalists in the light of fast-growing technology. Besides, they brought to the CJI’s notice certain glitches in the SC website, which is not very user-friendly to access daily orders and judgments. Other issues like poor internet connectivity, congestion of court rooms during important hearings when the courts are packed with lawyers and law interns in the visitors’ gallery were also raised.